For nearly half a century, Edgar Cahn ’56 has been brainstorming ways to bring about fair treatment of minorities. Now he’s working on an innovative approach to keeping kids from being incarcerated. Twenty-five percent of children in the District of Columbia were white, but 100 percent of the children who were in detention were youth of color. Between 40 and 50 percent of youth of color didn’t graduate from high school. Fifty-four percent of 18-to-35-year-old African American males in DC were either in prison, on probation, or out on bail awaiting trial. Cahn had asked the DC Supreme Court to try a novel approach to juvenile justice. The court sanctioned the Time Dollar Youth Court (TDYC), a diversion program that has turned out to be a fairer and more productive way to address infractions by youth, especially young men of color. According to its website, the TDYC “enlists young people in creating a new kind of juvenile justice where youth juries have the power to impose a sentence on offenders and where nonviolent youth can avoid formal prosecution for their offenses by carrying out the sentence imposed by their peers.” The offender pays a “fine” that is measured in time spent on community service—and one frequent sentence is to serve on a TDYC jury. The term “time dollar” refers to the method of exchange in TimeBanks, one of Edgar Cahn’s much earlier innovations for social change. Time dollars, quite simply, are a bankable promise to do something for someone else in a community in exchange for that person or group of persons doing something for you. The goal is to strengthen communities through reciprocity. “TimeBanking turns strangers into friends,” Cahn says, “weaving community one hour at a time as time dollars are earned and spent. It has evolved into a service credit program with TimeBanks in 34 countries on six continents, including 200 in the United States and 120 in Great Britain.” Cahn’s time-banking movement, which was created in 1980, has provided a perfect foundation for the youth courts he envisioned in the 1990s. In 2008, the TDYC heard 912 cases for offenses such as simple assault, possession with intent to distribute marijuana, and disorderly conduct. During the 12 months following a referral to the youth court, the recidivism rate was below 10 percent—far less than the 33 to 35 percent rate of a comparison group that was processed by a detention-biased juvenile system. 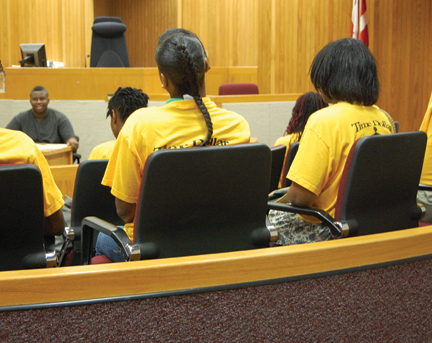 The proven success of youth courts and other youth advocacy programs in reducing pretrial detention—and arresting the spiraling consequences of incarceration—has Cahn and others wondering why just a handful of jurisdictions have adopted such programs. In the face of a 2006 Department of Justice report stating that 38 percent of the 96,655 juveniles incarcerated in the United States were African American when just 16 percent of American youth are black, Cahn and Robbins proposed—and have begun to implement—a novel legal strategy to change the juvenile justice system nationwide: the Racial Justice Initiative (RJI). The law appears to be on his side. Despite federal juvenile justice legislation in 1992 and 2002 that explicitly mandated a reduction in disproportionate minority contact (DMC) by law enforcement, Cahn says that the systemic government practices that lead to DMC persist. In addition, Cahn says, because court decisions such as Washington v. Davis (1976) require injured parties to prove discriminatory intent before claiming harm, individual plaintiffs—most often young men of color—have been left with the burden of proving that past actions resulted from intentional discrimination. Few if any such cases have been successful, and the RJI has taken on that burden, says Cahn. THE INNOVATIVE KEY TO THE RJI is another Supreme Court case—the 1989 City of Canton v. Harris decision that holds municipal governments accountable for “deliberate indifference” that causes harm—even if that indifference was expressed through doing nothing. Cahn and Robbins seek to apply the “indifference” test in a new context: the enforcement of equal-protection rights, such as when “the juvenile justice system continues to subject youth of color to the high risks of injury from decisions regarding detention and confinement that manifest a racial bias.” It’s where intent meets liability—when decision-makers are made aware of more effective and less injurious alternatives (such as diversion programs) yet maintain a pattern of practices that violate constitutional rights. Edgar Cahn’s life has been a model for such actions and a testament to his deep concern for the rights, welfare, and dignity of the disenfranchised. His father, Edmond Cahn, an attorney and philosopher with deep family ties to old New Orleans, left that city for New York in 1928 because he disapproved of segregation. He raised Edgar to believe that human beings have the innate capacity to recognize and respond to injustices. So entrenched were these beliefs, Cahn didn’t begin to understand the depths of racism until he arrived at Swarthmore in 1952. “As a concept, yes, I knew it was a bad thing,” said Cahn, “but I was naïve….” So naïve, in fact, that he couldn’t have imagined the uproar that would occur on campus when he began courting Jean Camper ’57, an African-American first-year student born into a family of social activists, during his sophomore year at the College—or the turmoil his subsequent engagement to Jean would bring to their families and their lives. After the uproar that Edgar Cahn ’56 and Jean Camper ’57 encountered when they became engaged, the couple spent 34 years of marriage—until Camper’s death in 1991—working together within the legal system to make a difference for the disenfranchised. The couple married in 1957, after Jean had graduated from Swarthmore and Edgar had completed his first year of graduate school at Yale. 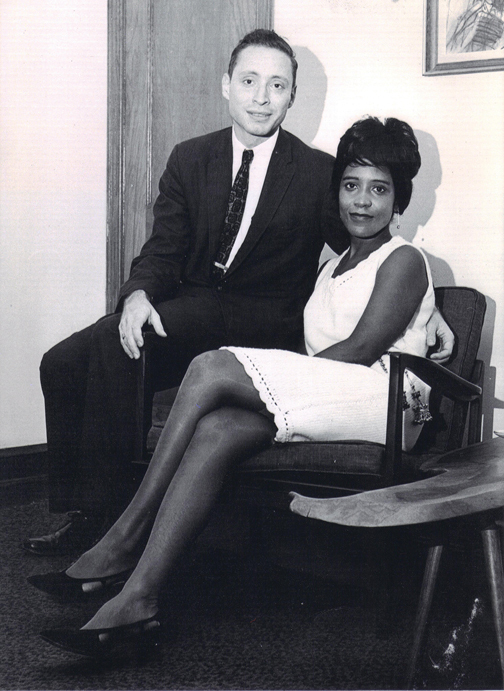 She joined him at Yale, and in 1963, law degrees in hand, Edgar and Jean began law careers in Washington, D.C., working together within the legal system to make a difference for the disenfranchised. Working with U.S. Attorney General Robert Kennedy and later with Sargent Shriver, the first director of the Office of Economic Opportunity, Edgar and Jean created the National Legal Services program during the War on Poverty. Their article “The War on Poverty: A Civilian Perspective” (Yale Law Journal, 1964) provided the blueprint for the organization; Shriver later credited the article with being the “genesis of legal services.” In 1971, the Cahns founded the Antioch School of Law—predecessor to the University of the District of Columbia David A. Clarke School of Law (UDC-DCSL)—the first U.S. law school to educate law students primarily through clinical training in legal services to the poor. SO IT'S NOT SURPRISING THAT CAHN WAS STILL BRAINSTORMING ways to bring about justice for minorities in 2008, when he hit upon the RJI. Yet to establish that policymakers were guilty of “deliberate indifference,” a plaintiff would have to prove that law enforcement officials and juvenile court judges actually knew about alternatives to secure detention such as the youth courts. To do this, Cahn and Robbins devised a “public notice process” that made sure that such information was available to policymakers. By disseminating knowledge about effective alternatives to current injurious and discriminatory practices, they seek to give public officials notice of more efficient and economical ways to achieve better outcomes for minority youth—and for society at large. Then, Cahn says, if those officials still choose to use past ineffective methods, their actions will demonstrate their indifference, i.e. their intent to discriminate. Cahn asked public interest attorney Greg Volz, founder of the first school-based youth court in Chester, to support his strategy, proposing that Chester youth testify before the Pennsylvania legislature. Volz, whose goal is to provide Chester students with a constructive alternative to suspension and reduce disciplinary issues, has been so effective in motivating and redirecting students that the city now has five in-school youth courts. 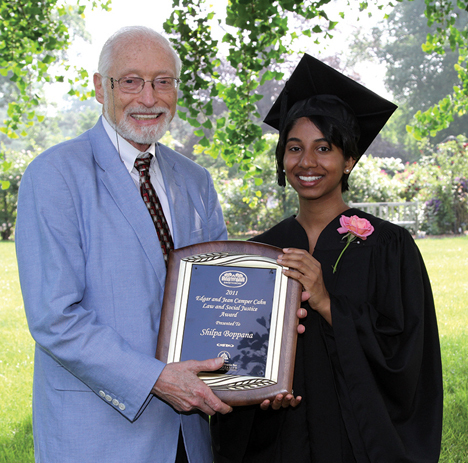 The first Edgar and Jean Camper Cahn Law and Social Justice Award was presented to Shilpa Boppana ’11 during Commencement weekend. The award, sponsored by the College and the Pennsylvania Bar Association, celebrates Boppana’s commitment—and that of the award’s namesakes—to social justice. A Chester Fellow, Boppana founded the Chester Youth Court Volunteers on campus during her junior year. 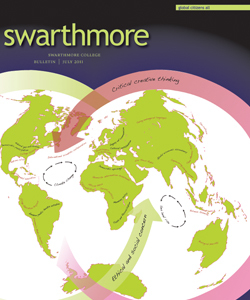 Swarthmore students, sponsored by the Lang Center for Civic and Social Responsibility, have assisted Volz in creating the additional youth courts. Shilpa Boppana ’11, who founded the Chester Youth Court Volunteers on campus, helped develop a youth court handbook and lesson plans for new members. “The young men testified so effectively,” Volz says, “they changed the opinion of people in Pennsylvania government about what is possible. Cahn, now 76, takes the long view. “I won’t live to see all the differences,” he says, “but I hope I have set a process in motion. I know the National Legal Services program helped a million households in the mid-1990s. When Jean and I started clinical education with the Antioch School of Law, we were viewed as anti-intellectual, and yet, recently, I attended a national conference for clinical law professors and virtually every law school in the country now provides clinical education. TimeBanking is still barely just a drop in the ocean, but recently I spent time with a woman who negotiated with the Agency for International Development to bring TimeBanking into Senegal and, now, the women of that country are learning marketable skills they can use as currency. Listen to Edgar Cahn discuss a lifetime of social justice work.